(Advocacy4Oromia, 2 March 2017) This week is a very unique one, for Borana Oromo’s as they are inaugurating their new leader (Aba Gadaa) who will serve an eight-year term in a system that rotates power between the tribe’s top clans. The 71st Abbaa Gadaa Kura Jarso has taken power from Guyo Goba on 2nd of March 2017. The peaceful transition has happened earlier this morning, at Arda Jila Bedhasa, Arero, Borana zone, Southern Oromia. This is the secret of Oromo culture where the people’s power applied in all affairs of the nation. 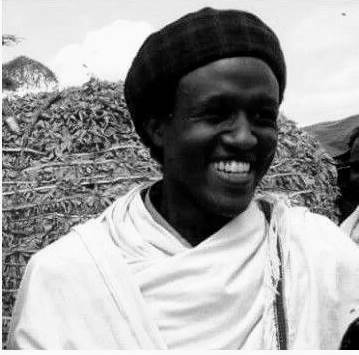 Arda Badhaasaa located in Borana Zone of Areeroo district is among the most sacred places in which the Gadaa ritual traditions and ceremonies are conducted. The place is special for various reasons including its being a sacred place where law is drafted, ratified, amended and officially indoctrinated. This time the 70th Abbaa Gadaa Guyyaa Gobbaa is going to hand over its authority and power called Baallii to its successor Abbaa Gadaa Kuraa Jaarsoo Diidoo in a volitional manner, with full passion and without friction. Under Gadaa System the power of administering the affairs of the nation and the power of enacting laws belong to the people. Every male member of the society who has come of age and of Gadaa grade has full rights to elect and to be elected. All have the right to air their views in any public gathering without any fear. There are five irreversible power taking cycles. The five parties take power in irreversible cycle. One party takes the power and exercises the authority for eight years and hands it over to another party after the completion of its eight year term. The Gadaa cycle doesn’t go back or power does not stay in the hands of a certain party. It has to be passed over to the other party every eight years and the cycle is not reversible. There is preparation ahead of power transition both at power giving and receiving places. The power taking Aba Gadaa arrives early in the morning riding their horses with a delegation of eight members. Each person represents his own clan. There are seventeen clans in Borana that accompany Aba Gadaa. Each clan will represent a person who accompanies Aba Gadaa. The eight people coming to the Aba Gadaa on power and candidate Aba Gadaa greets the former Aba Gada. And then he asks him whether the authority belongs to his party or the party of the other one. He replies “Yes!” saying the authority is now yours but the role of advisory will be mine. The rhythmic exchange of expressions and the ceremonial procedure during this time defies description. After this reply the adviser of the former Aba Gadaa unplugs feather-baallii from the head of the previous Aba Gadaa. Removed from the former Aba Gadaa, the feather of orbit has been given to the new one. The advisor of former Aba Gadaa willingly takes the Baallii from his Aba Gadaa and gives to the new advisor and then that advisor plugs it on the head of newly coming Aba Gadaa. This act tells or symbolizes power transition. Of course, the action is very difficult to explain and it is beyond expression of words. Gadaa system is not one where authority is simply passed from fathers to sons. Of course, the legacy of one’s family and the past accomplishments of a clan councillor has a great influence in the decision that is made to nominate the would- be Aba Gadaa and councillors. Would-be Aba Gadaa and councillors must pass through a rigorous training for years about the laws and the customs and the wisdom of leading a society before they take the position of authority in Gadaa. According to Borana tradition, celebration begins with different activities a week before the actual day of power transfer. Elders at different hierarchical position of the system gather and put on beautiful costumes to perform dances and music. The youths also showcase their unique style of dancing. During the week, communal issues like conservation of the environment, protection of wildlife, amendment of old laws; adoption of new laws and the like will be discussed. And decisions will be passed accordingly. Aba Gadaa is not only by himself. There is a period of graduation for Aba Gadaa, especially, in the first four years he cannot move alone. He can’t go alone or go out of his geographic area as this period is a time for drawing lessons. He has a team to move with and it is after four years that he becomes a full- fledged Aba Geda and fully graduates for governance. Aba Gadaa has lots of responsibilities including working on the issue of social security, family administration, leadership, response to war if there is one and political administration, among others. Aba Gadaa also sees to rituals if the Qaallus (are like priests or religious leaders) advise him to do so. Qaallu approaches him and Aba Gadaa takes the oath from him not to do unfair things during his administration period. It is when Aba Gadaa takes the oath that he becomes a party leader. The Borana Oromos are very committed to preserving and protecting this precious cultural system. “We are very committed to strengthening the Gadaa system which is the pride of the Borana and whole nation,” Kuraa Jaarsoo said. Southern Oromia, Borana Zone has a great tourism potential in which the Gadaa System power handover ceremony is the prominent one. In the effort to register Gadaa System in UNESCO, the zone had contributed a leading role through maintaining the Gadaa System intact. On the ceremony held this week, after blessing the crowd, the new Aba Gadaa Kuraa Jaarsoo expressed strong commitment to serve the community during his tenure. “I will not erode my culture and my rules. I will never barter my culture by monetary rewards. I am committed to stick to my Oromo’s tradition,” he added. Gadaa is a highly independent democratic and egalitarian political system that has guided the religious, social, political and economic affairs of the Oromo people of the Horn of Africa for many centuries. It is a system that organizes the Oromo society into groups or sets (about 7-11) that assume different responsibilities in the society every eight years. Gadaa System in general is a very complex one and one cannot completely learn and finish it. Every day one observes some kind of practices, which one can’t comprehend, with some kind of message, target and communication.